IP finance: Did Motorola breach its good faith obligation to offer RAND licences to its patents in good faith? Did Motorola breach its good faith obligation to offer RAND licences to its patents in good faith? This question was recently determined in Microsoft Corp. v Motorola, Inc (here) by the United States Court of Appeals for the Ninth Circuit. In her judgement for the court Judge Berzon affirmed the judgment of the district court in favour of Microsoft that Motorola had breached its obligation to offer RAND licences to its patents in good faith. 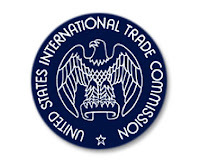 In late 2010 both Motorola and Microsoft sued in the U.S. International Trade Commission (ITC) and the Western District Court of Washington, alleging infringement of smartphone patents. During this litigation the parties entered into discussions about a cross-licensing agreement that would grant Motorola licences to Microsoft’s smartphones in exchange for licences to any of Motorola’s patents Microsoft’s products may have been infringing. In late October Motorola provided Microsoft with letters offering to license two patent portfolios, 802.11 and H.264 HEP, at 2.25% of the price of the end product incorporating the patens, regardless of the manufacturer: Microsoft was to pay Motorola 2.25% of the sale price of an Xbox game console or of any computer using Microsoft Windows. Both letters which were identical in material terms represented that the offer was in-keeping with Motorola’s reasonable and non-discriminatory (RAND) commitments. After Microsoft received the letters it filed a diversity action in the Western District of Washington, alleging that Motorola had breached its RAND commitments to the IEEE and ITU. It alleged that Motorola’s letters constituted a refusal to license Motorola’s standards-essential patents (SEPs) on RAND terms. The next day Motorola filed suit against Microsoft in an attempt to enjoin Microsoft from using its H.264 patents. The cases were consolidated in the Western District of Washington. Motorola also filed patent-enforcement suits with the ITC, seeking an exclusion order against importing Microsoft’s Xbox products into the USA, and with a German court, seeking an injunction against sales of Microsoft’s H.264-compliant products. To avoid the economic loss it would suffer if an injunction against the use of Motorola’s two German H.264 patents was granted – Microsoft’s European distribution centre for Windows and Xbox products was in Germany – Microsoft moved its distribution operations to the Netherlands. It also obtained an anti-suit injunction barring Motorola enforcing any injunction it might obtain in a German court against Microsoft’s use of Motorola’s 1h.264 SEPs until the district court could decide whether an injunction was an appropriate remedy for Motorola to seek. The Court of Appeals upheld the anti-suit injunction in 2012, while the German court ruled that Motorola was entitled to an injunction. In the district court Microsoft altered its complaint to allege that Motorla’s filing of injunctive actions constituted a breach of contract, owing to the fact that the obligation to offer RAND licences to all seekers prohibited Motorola from seeking injunctive relief for violations of patents subject to that obligation. In response the court granted a joint motion to stay all patent-infringement claims in the consolidated cases until the RAND issues were resolved. The district court issued a range of orders that, among other things, recognised that RAND commitments create enforceable obligations between Motorola and the SSO concerned and that Microsoft – as a standard user – could enforce those contracts as third-party beneficiary. It also issued orders that Motorola’s commitments to the ITU and IEEE required initial offers by Motorola to license its SEPs to be offered in good faith, but needn’t be on RAND terms provided a RAND licence is eventually issued. Furthermore the court decided that Motorola was not entitled to an inunction on its H.264 or 802.11 patents. In November 2012 the district court conducted a bench trial to determine a RAND rate and range for Motorola’s H.264 and 802.11 patents. It concluded that the RAND royalty for Motorola’s H.264 portfolio was .555 per cent end-product unit, with an upper bound of 16.389 cents per unit, and the 802.11 portfolio was 3.71 cents per unit, with a range of .8 cents to 19.5 cents. The case was then the subject of a jury trial on the breach of contract claim. While Motorola objected, Microsoft introduced the RAND rate’s determined at bench trial, along with testimony that Motorola and its parent company, Google Inc, had previously been investigated for failing to licence patents relating to smartphones, tablets and videogame systems on RAND terms. Microsoft sought damages in the form of attorneys’ fees, costs in defending the injunction actions that Motorola had raised and in relocating the distribution centre from Germany to the Netherlands. In September 2013 the jury returned a verdict in favour of Microsoft for the amount of $14.52 million. The verdict form asked jurors the general question of whether Motorola “breached its contractual commitment[s]” to the IEEE and ITU and, the specific question, in determining damages, whether Motorola’s “conduct in seeking injunctive relief, apart from Motorola’s general course of conduct, violated Motorola’s dut[ies] of good faith and fair dealing with respect to Motorola’s contractual commitment[s].” The jury answered “yes” to all questions unanimously. Motorola sought judgement as a matter of law both at the close of evidence and at the close of Microsoft’s case-in-chief. Having heard the jury’s verdict, the court denied Motorola’s motions concluding that (i) the evidence was enough for the jury reasonably to conclude that Motorola breached its duty of good faith and fair dealing by seeking injunctions against Microsoft, and (ii) the damages award was proper. 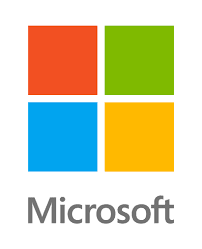 Microsoft’s motion for entry of final judgement on the breach of contract jury verdict was granted. Motorola appealed the judgement on the breach of contract claim to the Federal Circuit which, on Microsoft’s motion, transferred the appeal to the Court of Appeals for the Ninth Circuit. The district court lacked the legal authority to decide the RAND rate issue in a bench trial, severing it from the ultimate breach of contract issue tried to the jury. The Court of Appeals was not persuaded of this version of events. First it pointed out that there was no evidence that Motorola had been misled regarding the connection between the determination of the RAND rate and the breach of contract trial, nor did Motorola restrict its consent to licence-setting. It was found that there were several instances prior to the status conference on 14 June 2012, where the parties were reminded that a resolution of the RAND rate would be used “as guidance” in deciding the breach of contract claim. Secondly the court took the argument that Motorola only agreed to the determination of RAND for a court-created licence to be opposite to what it had argued before the district court. Based on this the Court of Appeals found no evidence that Motorola was ever unaware that the RAND determination would be used in order to facilitate a breach of contract trial. Further it was not convinced that Motorola ever withdrew is willingness to engage in a bench trial to do so, and was satisfied that the district court had the authority to determine the RAND rate. The district court’s legal analysis in determining the RAND rate was not in-keeping with Federal Circuit precedent. It was the view of the Court of Appeal that the district court had not erred in its determination of the RAND rate. Motorola argued that the district court had failed to observe US patent law under the Patent Act, 25 U.S.C 25 U.S.C. § 284, which provides that a court shall award damages “adequate to compensate for the infringement, but in no event less than a reasonable royalty rate for the use made of the invention by the infringer.” Motorola also cited Federal Circuit jurisprudence where damages were calculated under that provision. Motorola hadn’t shown – or argued – that it was prejudiced by the district court’s analysis. The Court of Appeals described the job of the hypothetical agreement approach as being to “…take account of the situation of the parties and of the value each places on the patents in question.” The court could find little that had changed in the parties’ positions since the dispute began. Furthermore the district court acknowledged the fact that Google had acquired Motorola in 2012, and consideration was given to both Motorola’s and Google’s commercial interests in determining the benefits from inclusion in the patent pools – as part of its RAND-rate analysis. Motorola was even shown, on arguments made by Microsoft, to have benefited from the courts treatment. The district court gave too much consideration to the rates charged by two patents pools as indicators of the RAND rate, and too little of Motorola’s licences. 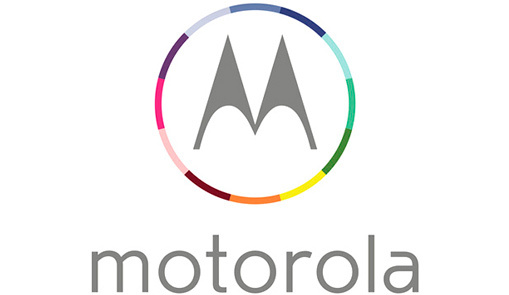 The licence agreements Motorola had with Symbol Technologies were not relevant. The court pointed out that two agreements had been formed under the threat of litigation, whose licences would have expired before Motorola’s and Microsoft’s hypothetical agreement would have arose. Further, the court pointed out that the third agreement concerned patents that expired prior to the end of October 2010 which required a total payment that was less than what Motorola would have obtained in pursuing a 2.25% royalty rate from Microsoft. The district court erred in denying Motorola’s motions for judgment as a matter of law on the breach of contract issue. There was evidence that Motorola knew that by pursuing injunctive action it could breach its good faith and fair dealing obligations. The court drew attention to the fact that Motorola had been investigated by the FTC, who found some of its activities to be questionable in respect of allowing an SEP holder to obtain an exclusion order against a license seeker as inconsistent with RAND commitments. Motorola argued that the Noerr-Pennington doctrine precluded the district court from awarding attorney’s fees and litigation costs to Microsoft, and that Washington law more generally prevented the recovery of attorney’s fees for defending a separate lawsuit as a component of damages. In determining whether or not the district court abused its discretion in admitting evidence, the Court of Appeals had to be satisfied by Microsoft “that it [was] more probable than not that the jury would have reached the same verdict.” Motorola argued that the district court had abused its discretion in admitting findings from its RAND order, on the basis that those findings were not relevant, prejudicial and a violation of the Seventh Amendment right to a jury trial. Motorola also argued that the decision of the district court to allow Microsoft to admit evidence of a settled investigation between the FTC and Motorola – which did not constitute an admission of a violation of the law – was wrong. Specifically Motorola pointed to Federal Evidence Rules 403 and 408. The Court of Appeals acknowledged the exclusionary power of Rule 403 in respect of evidence “if its probative value is substantially outweighed by a danger of…unfair prejudice.” However the court pointed out that the inclusion of the evidence regarding the FTC investigation while potentially prejudicial did not outweigh its probative value: it was admitted merely to demonstrate that Motorola was aware that the FTC and Microsoft found its actions questionable, not to evidence any conclusions the FTC made in respect of Motorola’s activities. The Court of Appeals also pointed out that Motorola’s reliance of Federal Evidence Rule 408 is subject to exceptions, namely to demonstrate notice or knowledge.